“When I retire, I need to decide whether I stay in my current home or move somewhere else. How do I make this decision? Enter in all your figures for the asset section (what you own) and add up your total assets. Enter in all your figures for the liabilities section (what you owe) and total your liabilities. Subtract total liabilities from your total assets and the answer is your net worth. To complete Your Likes and Dislikes in Housing , download, print and complete this activity. Then, compare your results with your loved one. Do your answers match in some places and differ in others? Plan how you will negotiate the differences in what you both want in later life housing. Housing is more than shelter. It provides security, as well as a connection with the surrounding community. Our homes store memories, create new ones, and greatly influence the enjoyment we get from life. Our homes offer a place for self-expression, give us a feeling of independence, and are a major financial asset for most families. 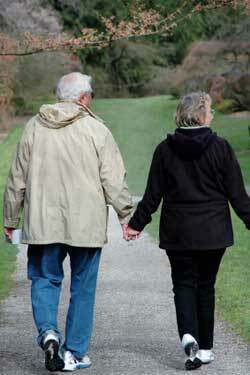 retirement years where you need help with physical and personal needs. decrease anxiety and fear about your future. In this section, we encourage you to complete the activities to create a complete picture of your financial and non-financial later life housing goals and plans. Start by calculating your annual net worth; this will be your compass to where you stand financially. Your net worth is your total assets (what you own) minus your total liabilities (your debt or obligations). Complete your Annual Net Worth Statement once a year. Your annual net worth statement will provide you an overall picture of how much you have available for retirement goals, including housing needs. Your Likes and Dislikes in Housing is a useful tool to help you discover what you want and need in later life housing. Think back to your youth and earlier adult life; list your likes and dislikes inside and outside of the homes you have lived in, including your current home. If you are married or have a significant other with whom you live, ask them to complete this activity individually too. This will help determine what you both want in later life housing.